Learn circus skills from beginning levels, on up to professional presentations. The coaches take great care to make sure that the disciplines are taught in a slow manner with a commitment to safety and technique. The environment is one of process and teamwork, while trying to help young people discover and express their individual personalities, too. 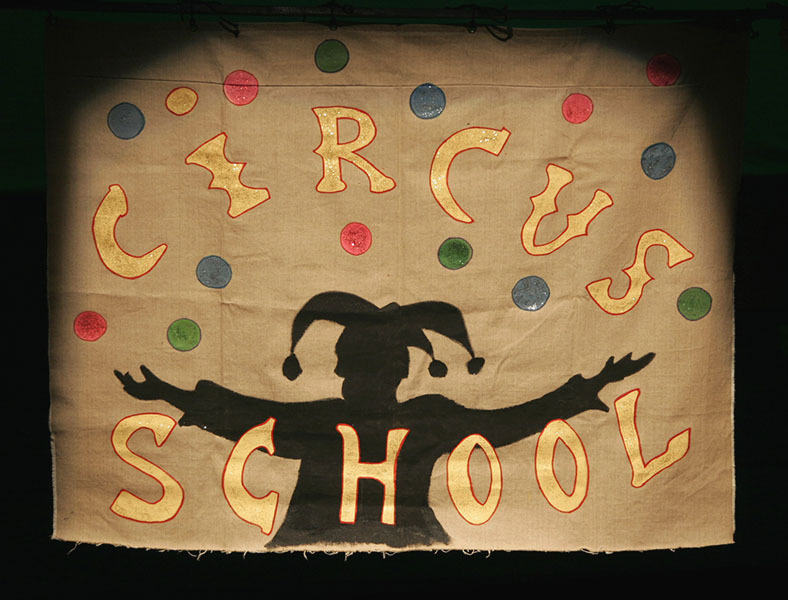 Circus School has been described as a Humorous, Hands-on, High-energy experience! An Original Theatrical Journey! Exploring what makes something dramatic? What is drama? And what role does “drama” play in our lives at any age? Any story can be told in a presentational way, often with a dramatic flair! With the teacher, children use any skills they already possess — music, dance, visual arts, public speaking, circus, magic, etc., to create a piece of theatre that is one-of-a-kind unique! It’s a talent show, more or less, highlighting your children — giving them a moment to be in the spotlight as themselves or as a character in a play… It’s all about inclusion, celebrating their comfort levels and contribution to the whole! Always different, always dynamic, never short on the DRAMA!!! !